November 5, 2018 - The digital marketer's #1 daily briefing! She helped us, marketers, make millions… or maybe billions? She works 24 hours per day. Seven days per week. Christmas and Thanksgiving included. She hustles all day, every day. For you and your bank account. Therefore, you should at least let her introduce herself, and listen to what she has to say. What are we talking about? It’s the Facebook algorithm… Oh, you didn’t know the algo’s a “she”? Well, listen to this monologue. You can see what she knows about you, probably much more than yourself, and how she discovers it. Do you think that she decides your purchase power based on your income? Partially wrong. She calculates it based on your social network (the pressure you get from friends and relatives), your family situation, your life circumstance and of course, your browser history. By following your device, she knows who your co-workers are. She knows the people with whom you hang out and that girl or guy you slept with the last Friday. She knows if your teenage daughter is going through a difficult time. And she understands if your fiancé is pregnant before your partner tells you. Watch the video to discover more. However, watch out, it is quite scary…And if you want the whole algorithmic factor in one picture, just go here. Using AmEx for your FB Ads? You might not be earning bonus points anymore. Basically, Facebook started invoicing from their Ireland branch. And AmEx bonus points have a condition to be given for US purchases. This is something Mitchell Porter brought to everyone’s attention in the Facebook Ad Buyers group. Instead of 3%, non-US spend gets you 1% on the Business Gold card. It doesn’t care if you stay compliant. It doesn’t care if Facebook clearly authorizes you to run a certain type of ads. If the ban comes down on you, there are no more chances to get back to normality. Sometimes the only thing that remains to do is fly to Facebook HQ, knock at the ads policy team’s door and ask WHAT THE AFF is going on. Valentine Savchenko jumped to this conclusion after a 2 months nightmare. Basically, he got a license from Facebook to run crypto ads. But as soon as he started to launch the first campaigns, Facebook disapproved all his ads. The troubles went on for two months, without never being able to run the ads he got authorized by Facebook itself. When he tried to talk to the Facebook support, the only thing he got were copy and paste answers from bots. But the story goes on, becoming creepier. After that, Valentine tried to launch a campaign to promote an educational event for one of his clients. And guess what? Facebook flagged the campaigns because they were promoting cryptocurrencies. The fact is that the ads weren’t related to cryptocurrency at all. A lot of people are angry with Facebook. In Australia, a guy is doing a class action sort of lawsuit for Facebook banning crypto ads. The story of Valentine is awful. Facebook should understand that its random acts have consequences in people’s business and real life. Someone in the comments said that the Valentine story deserves more reach. We think the same, so we decided to put his story in today newsletter. 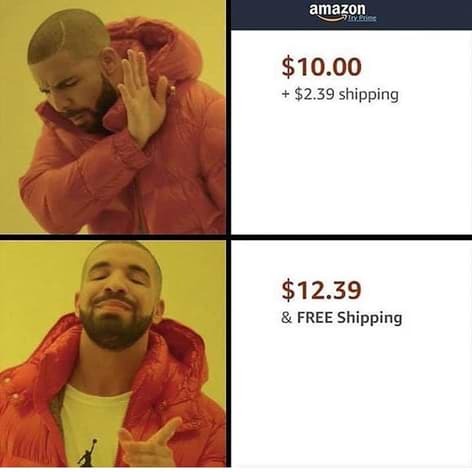 Even Drake knows that free shipping is the thing in 2018. Last year Amazon shoppers without Prime membership had to spend at least $25 to earn free shipping. This year Amazon is waiving the purchase minimum to give “customers even more convenient and faster delivery options”. The promotion will make hundreds of millions of items eligible for free shipping for all orders arriving in time for Christmas. There’s no exact cutoff date announced for this. If you’re looking to buy, Amazon just made it easier – and maybe there’s something like that you can implement for your own store too! Recently, we shared with you Wistia’s experiment regarding how a bigger budget affects videos. They’d hired Sandwich Video to make three ads for their video creating extension Soapbox, with budgets of $1k, $10k and $100k. Written, directed and acted by Sandwich employee Claude on his iPhone X in the Sandwich Offices, with help of whoever he could convince (like, 3 people who had some spare time). Claude had to essentially do everything himself, from Production Design (arranging the set so it looks good on camera) to the editing. Not just Claude, but a skeleton crew consisting of 10 people. All the actors are Sandwich employees. $931: Pay the fees associated with the crew (such as taxes). Pre-production consisted of doing a tech scout (walking around the set with crew deciding on framing and shots) and compiling a shooting schedule. Upgrades from $1k are much better lighting setups and super fancy audio gear, but the crew takes way more time rearranging everything between different takes. Crew consists of: Production team (6 people), Director Department (4 people), Grip & Electric Crew (4 people), Camera Department (3 people), Art Department (5 people), Sound Department (1 person), Wardrobe (4 people), plus a set security officer to overlook transport of gear. Additionally, specifically hired actors instead of using Sandwich employees. The main differences to the $10k video are the superior lighting (they made it look like daytime even though it was night), and the camera movement that required lots of people and special gear. In pre-production, apart from the tech scout, the Arts Department completely remodelled the office with rented furniture and props, and there was a Wardrobe crew specifically attending to the costumes. According to the Wistia team, it is much more important to invest in people that know what they are doing than into expensive gear. First, you need one person that understands the whole process behind creating a video. Then, if you want to amp up your video, amp up the team that’s behind it. If you can’t spend money, spend time. If you have no budget, you’re gonna have to do stuff yourself like Claude – research things online, make the most out of your phone camera and don’t be scared to try new things. Now, as for the actual marketing aspect of those ads… We are interested in how well each of them did online, but seeing as Wistia didn’t include that part in the documentary, we hope they release something in the future. If they do, we’ll be sure to cover it! The whole affiliate crowd is heading to Bangkok, for Affiliate World Asia.TrafficForce is no different. They will be there waiting for you at booth A55 on the 5th and 6th December. And they won’t be waiting empty-handed. Just in case your memory needs to be refreshed, they are a premium adult traffic source. Not small volume either – 15 billion premium adult monthly impressions! These impressions are spread over familiar ad formats like banner, pop-under and rich media so you can get creative with different uhm… creatives! And you can take advantage of that scale with programmatic. TrafficForce works with DSPs and openRTB to get you into real-time auctions across this big inventory. That’s not all for you travelling junkies. If you stop by their booth and leave your business card with them, you automatically get entered into a giveaway to win the new, wonderful, slick iPad Pro. PS: We’ll make it even easier for you – The WTAFF Crew won’t enter, so your chances just went up! Here’s a pro tip: In-person meetings at conferences are great to discuss deeper details. Start testing their traffic now, by signing up here. Then evaluate and talk detailed optimization and scaling at the conference. Don’t waste valuable in-person time with small talk! A passport, a passport… my bitcoin for a (Bulgarian) passport! But it’s the neighbour to the south, close enough?! 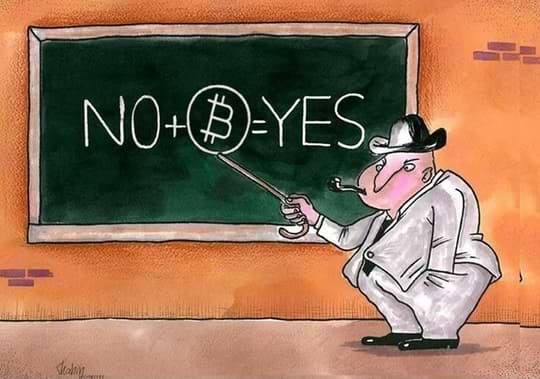 Two Bulgarian government reps accepted BTC bribes in exchange for issuing Bulgarian passports – illegitimately. And it wasn’t a one-time thing. Seems they received between 5 and 15 bribes each week since July 2017. We wonder if they sold at the all-time high or their bribes are now worth ~70% less than in December 2017.